Brett has been with Exclusive Insurance Brokerage since 2013 and is one of the firm’s marketing directors. Brett works closely with Independent Register Reps all across the country working in the Qualified Asset, Retirement Planning and Long Term Care markets. Brett’s internal team consists on Courtney Tilton and internal, Bobby Brown. 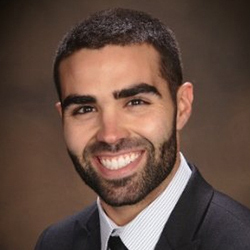 Brett received his Bachelor’s degree from the University of Redlands in Economics in 2012. Brett resides in Newbury Park and enjoys playing basketball, going out with friends and currently boasts his back-to-back Fantasy Football Championships in Exclusive’s league.